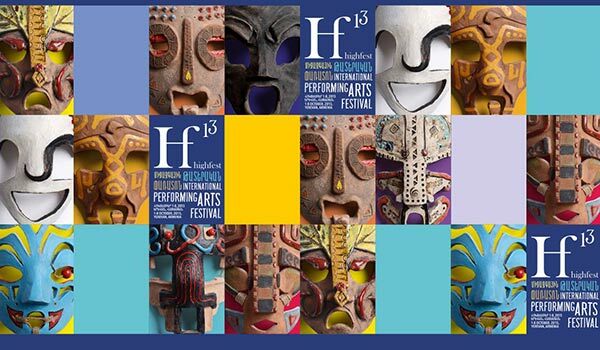 On October 1-8, Yerevan will host the 13th High Fest international festival, under the title Museum of Senses. As many as 250 participants will arrive in the Armenian capital from 26 countries, including the United Kingdom, the United States, Italy, Hungary, and even Bangladesh. The opening ceremony of the festival will take place in the Armenian Center for Contemporary Experimental Art (ACCEA). “The festival will have the most eventful program yet. There is a day when 12 performances are to be shown. Usually the festival opens with a foreign performance, but this year’s opening performance will be a local one. It is called the Museum of Senses. Its author is Vahan Badalyan. Theoretical and performing arts are merged in this performance. Nine feelings will be presented,” he says. The performance of Museum of Senses was staged with the support of the State Commission for the Commemoration of the Armenian Genocide Centennial. According to Ghukasyan, “At the Bottom” by Oscar Korshunovas Theater (Lithuania), “Hamlet” by Shakespeare’s Globe theater (Great Britain), “Crossing Line” by Gibni Dance group (USA) will be performed as part of the festival. “We are particularly encouraged by Armenian performances. It is also due to the work of the festival that the average quality of Armenian performances has risen. While in the previous years we had one or two, this year we have four to five European-level Armenian performances. We organize the festival in order to develop a culture, to raise the level in a theatrical sense,” says the chairman of High Fest, adding that the audience will watch performances of various genres, getting the greatest satisfaction. The Hrachya Ghaplanyan Drama Theater, the Hovhannes Tumanyan Puppet Theater, the Small and the Mihr theatres, etc. will perform in the main program of the festival. Like every year, this year’s High Fest will again allow students to present their works in the Arms Fest student program. Audiences will have an opportunity to watch drama, music, dance, solo performances, circus, children’s as well as outdoor performances. Festival guests will hold master classes. Attendance at the main performances will be free, which will enable the public to get to know some examples of foreign high theatrical arts. The High Fest International Festival was first held in 2003. Since 2006, High Fest has been the second major theater festival in the former Soviet territory after Moscow.